Achen-Gardner is providing support services required to shut down, dewater, assess, and start-up large diameter water transmission mains (42” and larger) throughout the City of Phoenix. Our work must be completed within a fixed time frame by following a MOPO (Maintenance of Plant Operations) with strict attention to detail. We have completed four Job Orders (JOs) to date. 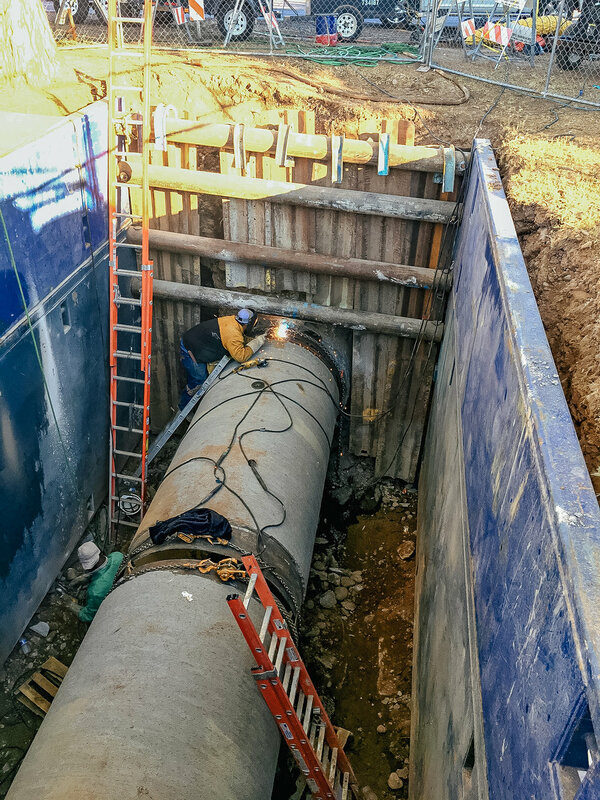 JO #1: This project included the shut down, dewatering, assessment, and start-up of approximately 3.5 miles of 60-inch pre-stressed concrete cylinder pipe (PCCP) from 36th Street and Elwood Street to 42nd Place and Baseline Road. The interior of the transmission main was cleaned, joint repairs were performed, and three pipe sections were replaced throughout this segment of transmission main. JO #2 (Scenario 1 Val Vista Transmission Main Assessment): This project included the shutdown, dewatering, assessment, and start-up of approximately 14.4 miles of 72” to 108” PCCP from the Val Vista Water Treatment Plan (near Lindsay Road and McDowell Road in Mesa) to the 1B-3 Booster Pump Station (near 44th Street and University Drive in Phoenix). The project’s scope included supporting confined space entry for HDR Inc. and Pure Technologies as well as joint repairs on the interior of the transmission main. 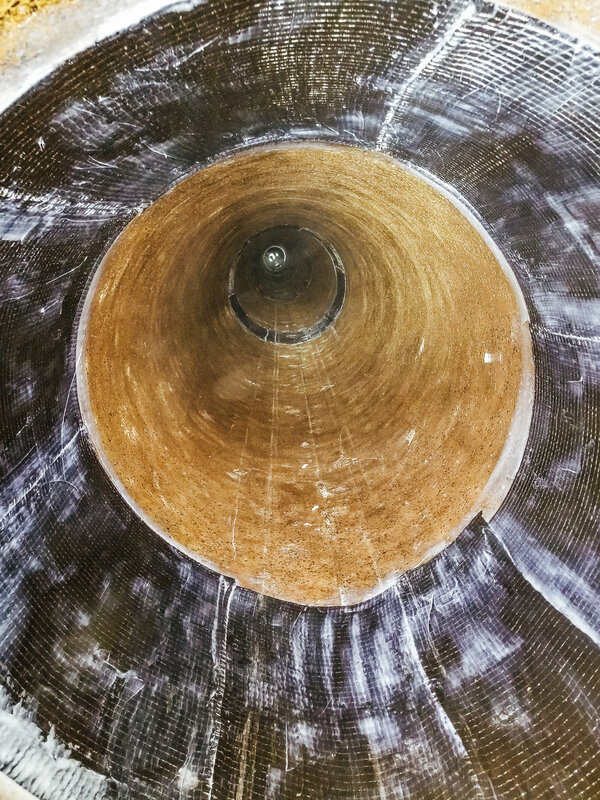 JO #3 (Scenario 1 Val Vista Transmission Main Assessment CFRP Liner): This project included costs to install a carbon fiber repair on two sections of existing 96” pipe within the Val Vista Transmission Main. 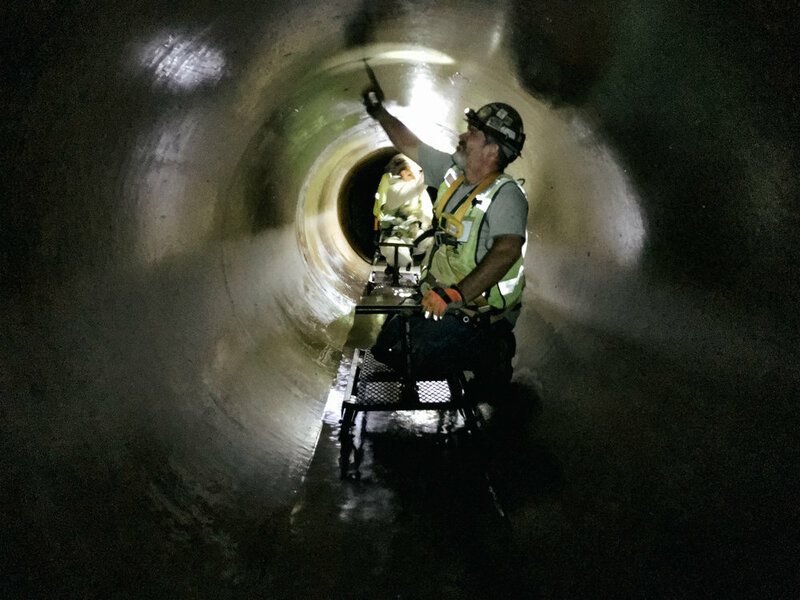 JO #4 (Scenario 11 Transmission Main Assessment): This project included the shutdown, dewatering, assessment, and start-up of approximately 2.5 miles of 60” PCCP from 16th Street to 36th Street along Roeser Road in Phoenix. This project’s scope included supporting confined space entry for HDR Inc. and Pure Technologies as well as joint repairs and cleaning of the interior of the transmission main. One section of PCCP pipe was excavated and tested for continuity during this project.